« Cobb Saddles :: 180 Day Comfort Guarantee! Bont Cycling Shoes are hand made in Australia and represent the highest possible of level of performance from any cycling shoe. Their unique construction means they can be heat molded (in the oven at home) to achieve the perfect fit. Designed to mimic the shape of the foot as closely as possible for maximum efficiency. 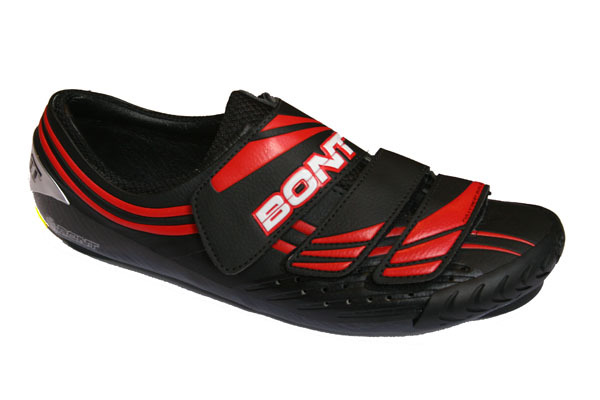 Bont shoes are super stiff and are unrivaled when it comes to power transfer and comfort. Bont shoes have been ridden to numerous victories throughout the 2011 season including a win in Paris Roubaix, multiple Tour de France stages and Bradley Wiggin’s silver medal at the World Time Trial champs. This entry was posted on Monday, September 26th, 2011 at 11:46 am	and is filed under Products. You can follow any responses to this entry through the RSS 2.0 feed. Both comments and pings are currently closed.